With the Daytona 500 set to go green this Sunday, the 2019 Monster Energy NASCAR Cup Series season is very much upon us. There are a number of changes in the top-tier NASCAR series for 2019, including new drivers, a new Ford Mustang body, new paint schemes and more. That means the official NASCAR video game will need an update too, and we’re happy to report that publisher 704 Games has delivered. The new NASCAR Heat 3 update, available for PS4, Xbox and PC for $9.99, includes all the new-for-2019 paint schemes, new drivers and up-to-date driver changes, the new Mustang body and the updated 2019 Monster Energy Cup Series race schedule. 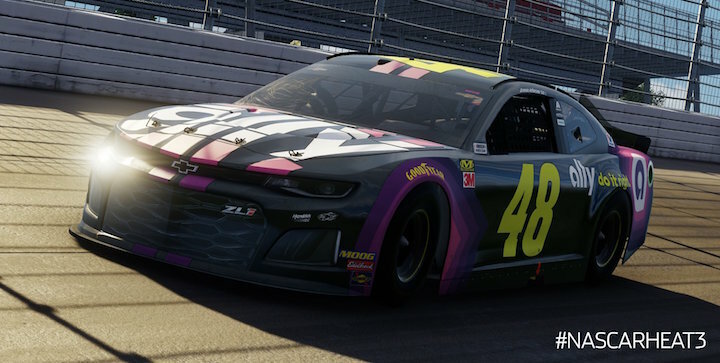 New paint schemes in the NASCAR Heat 3 update include Jimmie Johnson’s Ally Financial Chevrolet Camaro ZL1, Austin Dillon’s DOW Camaro ZL1 and Kevin Harvick’s Hunt Brother’s Pizza Mustang, among many more. Driver changes include Martin Truex Jr’s move to the No. 19 Joe Gibbs Racing Auto Owners Insurance Toyota Camry and Kurt Busch’s move to the No. 1 Monster Energy Camaro ZL1. There’s also a new lot of drivers including Landon Cassill, Ryan Truex and Matt Tifft, among others. 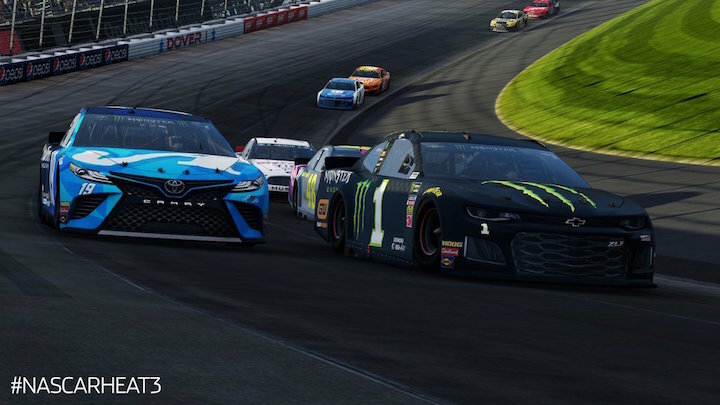 Players will also be able to race the new 2019 paint schemes online, although players who have downloaded the 2019 update will not be able to be matched with players who have not yet installed it. Sunday’s Daytona 500 qualifying session, which sets the first two spots on the grid for the race, resulted in No. 24 Chevrolet driver William Byron taking pole, with No. 88 Chevrolet driver Alex Bowman slotting in behind him in second. he on-track action at Daytona continues tomorrow with the Daytona Duels qualifying races, which will set the rest of the field. The 2019 Daytona 500 is set to go green on Sunday, February 17th at 2:30 p.m. ET. If you can’t wait, you can download the NASCAR Heat 3 update now and run your own virtual Daytona 500 with this year’s new cars, drivers and paint schemes. Let’s just face it, ZL1 will see the checkered first !